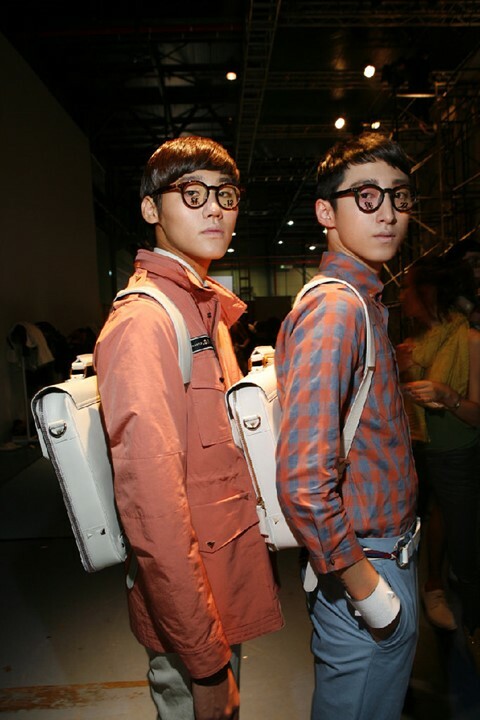 South Korea’s fashion is menswear orientated, and MVIO's show during Seoul Fashion Week proved why that is. Except for presenting the popular hybrid of preppy and dandy, MVIO designer Sang Hyuk Han also added a layer of sartorial delight by merging a luxurious feeling (embodied by his extensive use of silk tops and scarves) and a harder and rougher attitude through leather pieces and studs. Dazed Digital: What was your starting point for this collection? MVIO: My life in general, but I especially looked at love and riding for this collection! MVIO: Horseback riding, motorcycle riding… it doesn’t matter what sort of riding! DD: Do you have a favourite piece from the collection? MVIO: The first look, a cropped jacket with exciting proportions and shapes.